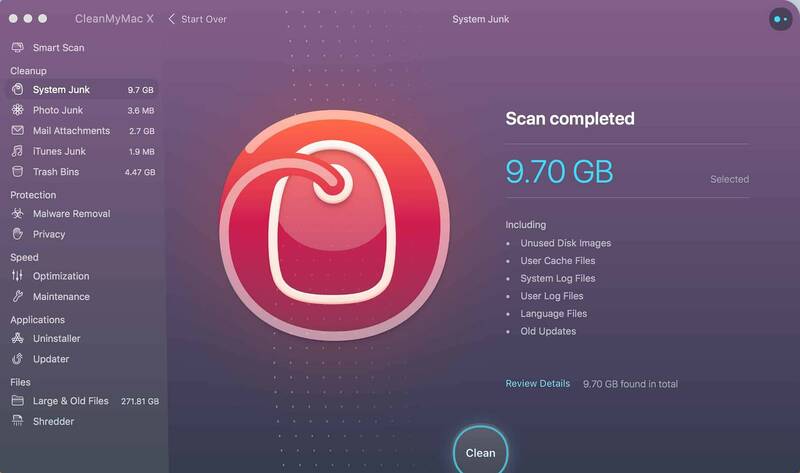 CleanMyMac X Review - The Best Mac OS Speed Software For 2019? CleanMyMac X is an all-in-one optimization, security & mac cleaning software. Disclosure: This review is NOT sponsored by CleanMyMac X or MacPaw. All opinions and thoughts expressed within this review had no bias or outside influence. We may earn a commission on referred sales, but content integrity and quality is our top priority. Attractive design styling with excellent interface organization, segmentation and ease of use. Data reports are easy to understand and well documented for the even the least tech savvy. 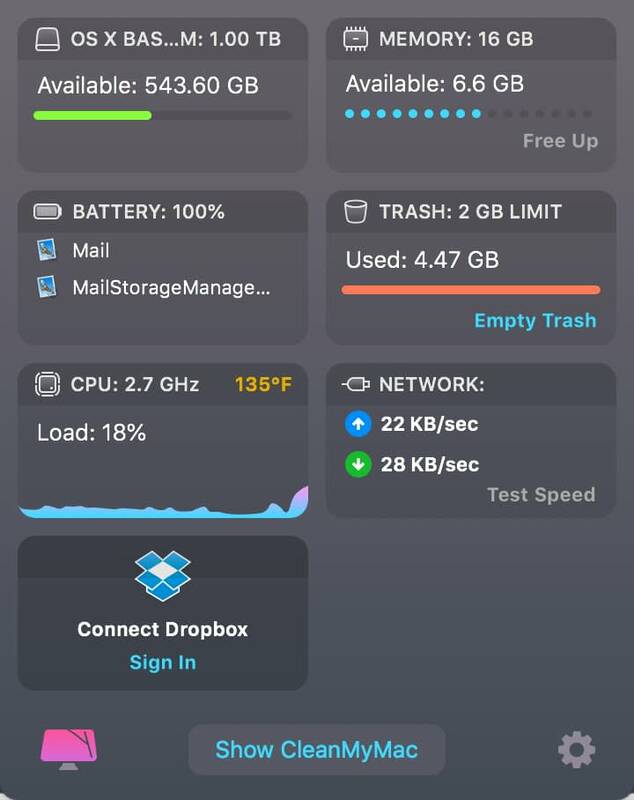 Free trial account limited to 500MB of cleaning and a premium license starts at $39.95/yr for 1 Mac (discounts for multiple machines) or $9.99/month via a Setapp subscription. Based on using MacPaw's CleanMyMac X since its original release (we originally reviewed it back in 2013), this software comes highly recommended to our readers. The interface is sleek and easy to use with no knowledge towards Macintosh maintenance or complicated terminal commands required. Like any free or paid optimization software, it does have the possibility to cause harm if you carelessly delete all your files without verifying which ones you wish to keep. However, CleanMyMac is specifically designed to not do this and you'd have to go against its default conditions to delete sensitive data (free optimization software won't be this gentle). Ultimately CleanMyMac X will allow you to keep your MacBook, MacBook Air, MacBook Pro or iMac running as smoothly as possible and efficiently using its allocated resources despite the age of your machine. CleanMyMac X is a great buy for any Apple MacBook, MacBook Pro or iMac owner who desires optimal performance from their Mac computer. CleanMyMac's major strength comes the lack of complicated knowledge required for self-maintenance. There is an affordable license cost required, but a free trial is available for testing. The cost will pay for itself through productivity when compared to a Mac plagued by slow performance. It is no secret that Apple’s products are as popular as ever. Their iPhones are dominating mobile sales while their Mac computers remain a top choice for student and business use. As the lifespan of a Mac computer lengthens, it is not uncommon for your machine to become bogged down. This is often due to unnecessary data from past usage. This may include outdated cache files, leftover Mac OS X data logs, old mail attachments, extra application binaries or broken app data. The result of all this excess data is a slower machine with less free space on your disk drive to store all your precious files and applications. There is a convenient solution to this dilemma if you are willing to invest into a reputable Mac cleaner software. In the rest of this article, we will give you an in-depth CleanMyMac X review based on our experience using the MacPaw’s tenth anniversary version of their software (hence the X branding) since the launch this past September. It is important to be careful of the integrity behind of all CleanMyMac X reviews. The opinions expressed in this article are based on our own use of CleanMyMac without outside perspectives or bias coming into play. Will CleanMyMac X Run On My Apple Computer? Are There Any Free Optimization Alternatives? The company was founded in June of 2008 by Oleksandr Kosovan, who remains the CEO and owner of MacPaw. They are headquartered in Kyiv, Ukraine. MacPaw also has a domestic presence in Santa Clara, California. MacPaw focuses on software development for both the Mac (CleanMyMac) and PC (CleanMyPC) platforms. Their software is designed to help consumers solve common issues with optimization and security. According to the company's CrunchBase profile, MacPaw currently employs between 101-250 people. They are not officially accredited, they have an A+ rating with the Better Business Bureau. 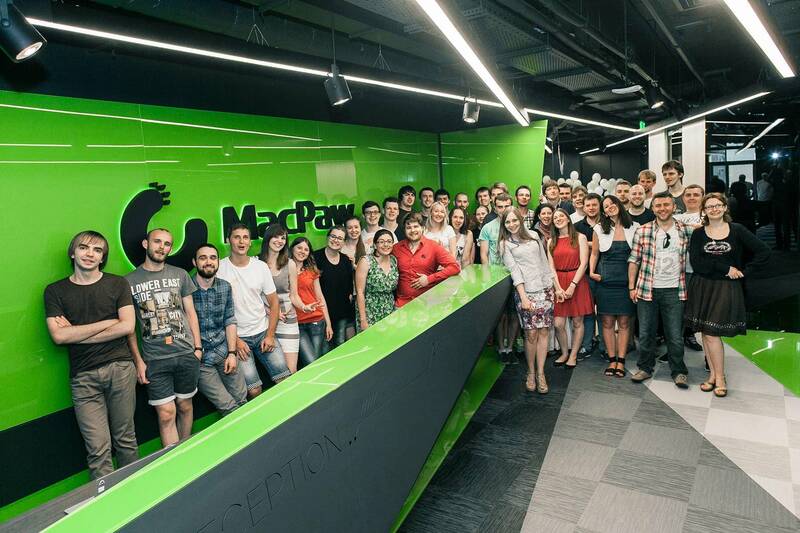 The MacPaw team in a photo posted on their company's 'About' page. 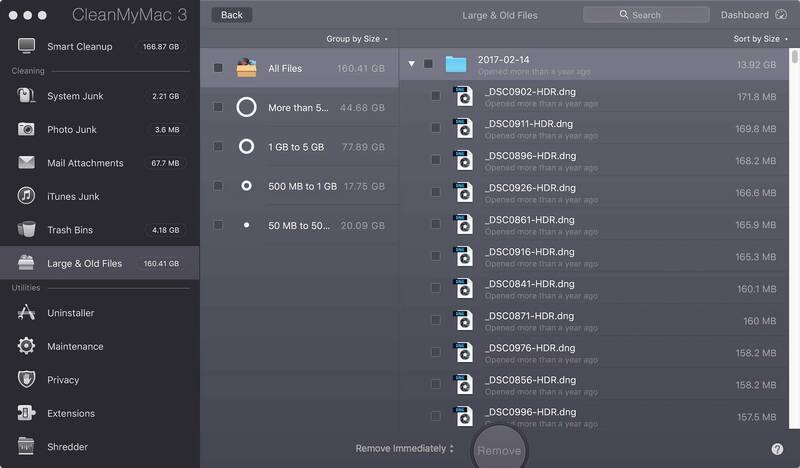 Some of you Mac-savvy readers may be familiar with The Unarchiver, a popular application for unpacking file archives. MacPaw acquired The Unarchiver back in July of 2017 for an undisclosed amount of money. In September of 2017, MacPaw announced that they have also invested in a UK-based software platform company called Paddle. In January of 2018, MacPaw launched Setapp which is dubbed the “Netflix of Mac Apps” allowing you to download an use 100+ popular Mac apps for one low monthly price (including CleanMyMac X). 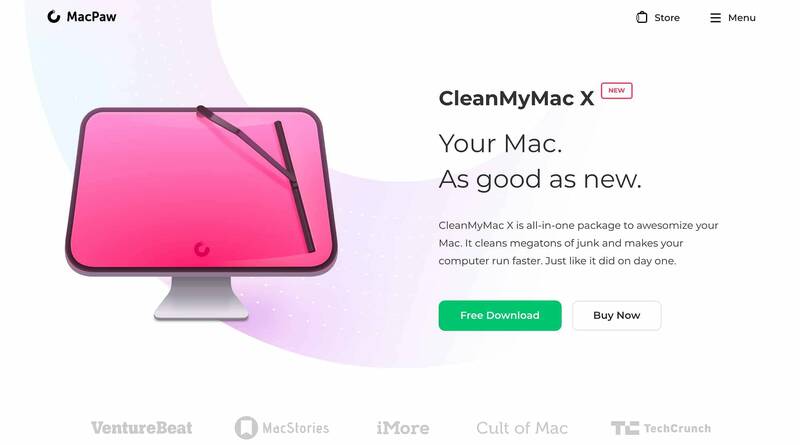 MacPaw has an interesting business model that allows any prospective users the ability to download and test CleanMyMac X for free in exchange for limited cleaning potential. How limited? 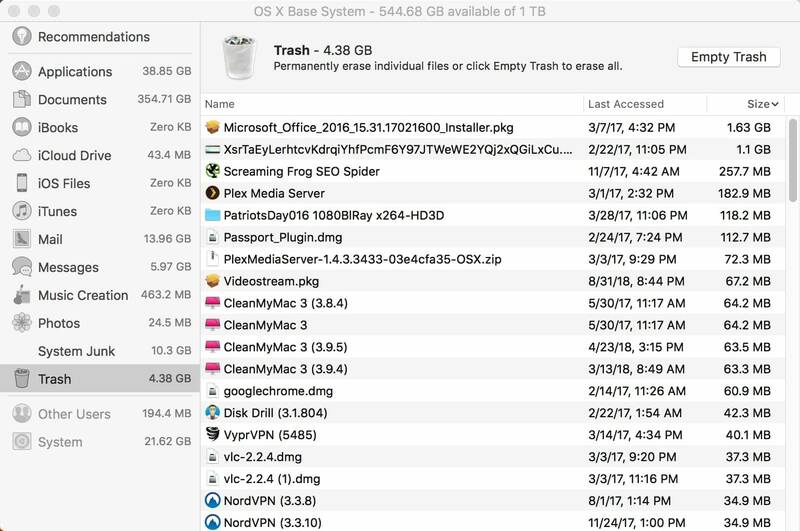 The free version of CleanMyMac X will only clean up to 500MB which is a minuscule amount compared to what you should expect to regain using their premium licensed version (we did not test the free version within this review). However, this method gives anyone on the fence about buying a license a chance to preview CleanMyMac X on a limited basis and get a feel for the user interface and feature-set. 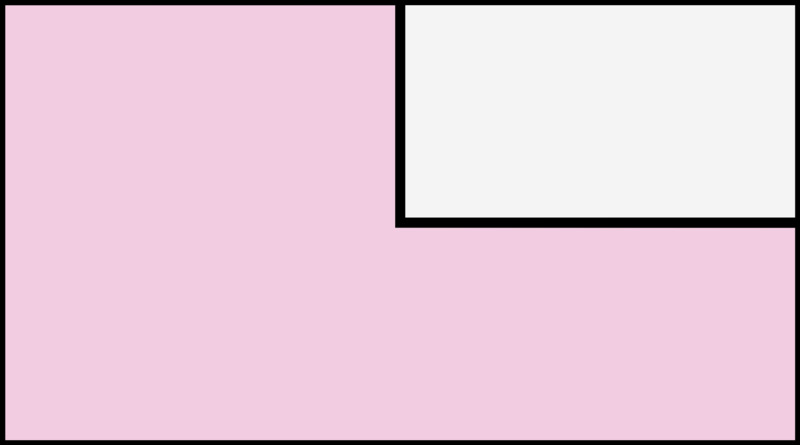 For some very light users, the 500MB may be just enough to cover your optimization needs. Most will benefit significantly from the premium version especially if you are a heavy user of your Mac or have owned your Apple computer for many years. 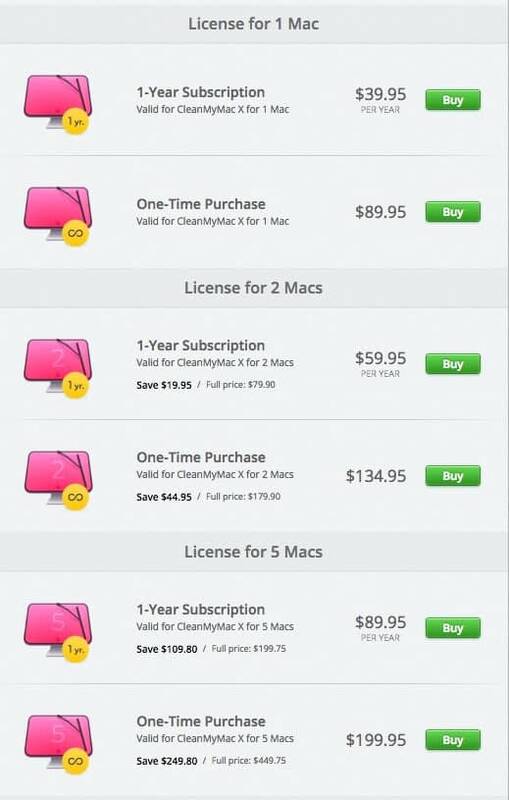 CleanMyMac licenses are sold in both a year subscription or lifetime use which costs more but keeps from having to re-bill in the coming years. If you are planning on utilizing a lot of Mac applications then you may want to look into MacPaw's new Setapp membership which has been touted as the ‘Netflix of Mac apps”‘. Priced at $9.99 per month (or $107.88 annually), Setapp instantly gives you licensed access to over 100 popular Mac apps for use on a single machine. CleanMyMac X is included in this subscription as well as their popular duplicate finder Gemini along with other popular software like Disk Drill, Bartender, Netspot, Mosaic and many more. If you want to extend this usage to other Mac computers that you may own then you can do so for an additional $4.99 each per month. Best of all, Setapp offers a free 7-day trial which is useful for those looking to test out the full capabilities of the CleanMyMac X before purchasing. If you'd like a full review of their Setapp membership, you can read ours here. CleanMyMac X: Will It Run On My Apple Computer? MacPaw has updated the CleanMyMac software line four times now. With each new version of the optimization program, there are better tweaks to the interface, features and performance which warrant the upgrade. However, with the newer versions of CleanMyMac comes more advanced hardware and software requirements ensure it will work properly (just like any other Mac app or software). If you own any Apple computer running Mac OS X 10.9 or earlier then you'll have to upgrade to a newer version of Apple's operating system (free in most cases) or get CleanMyMac Classic instead which still caters to older generations of Mac. Is CleanMyMac Safe To Use? The idea of using any cleaning software is a very controversial subject in the Mac community and you'll see random users warning against them on forums and message boards due to a few reasons. The primary one comes from a malicious attack towards rival software MacKeeper years ago which posed as a legitimate software called Mac Defender through promotional advertising and then infiltrated and phished users who fell for the scheme. Additionally, certain pieces of Mac optimization software are too lenient on the cleaning potential. This causes them to favor removing the most amount of data and freeing up the most hard disk space as possible without worrying about the sensitivity and importance of the files that are being deleted. 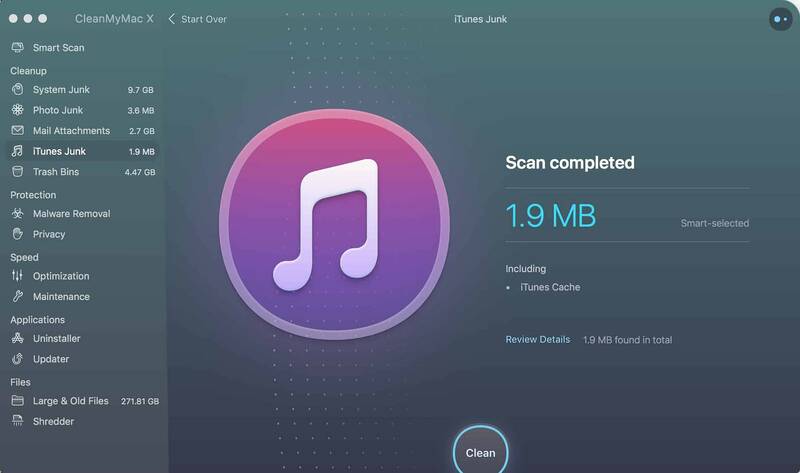 MacPaw has realized this issue from the start and developed their CleanMyMac software to efficiently scan your Mac's hard drive to safely and accurately determine which files and data are safe to remove and flag potential valuable data for further evaluation before optimizing. They are able to accomplish this through the use of a proprietary safety database comprised of operational rules and exceptions to avoid any cleaning mistakes. CleanMyMac will reference this updated list every time it runs a cleanup or optimization to ensure the smoothest end result without any surprises. Additionally, CleanMyMac X will prompt you and require a manual review when it isn't sure if the files you are trying to delete are valuable or not. It will also let you know if you are attempting to remove any files that are critical to the MacOS operating system. While we have found a lot of value in the performance and convenience of MacPaw's optimization software, there are free alternatives that do a relatively decent job at cleaning your Mac. The catch is that the level of detail in cleaning your machine with a free alternative compared to MacPaw's software will often be less and the potential of deleting valuable files is more prevalent unless you are careful and know what you are getting into. One of the most popular free tools for optimizing the speed and disk space of a Mac or PC with millions of users to date. Has had a solid reputation until recently when the software became a major target of hackers. CCleaner is available to download free for personal use although they charge for a premium version which has more features and functionality or if you intend to use the software for business purposes. Up until the latest generations of MacOS, there was no support for a native maintenance or cleanup tool within Apple's operating system. 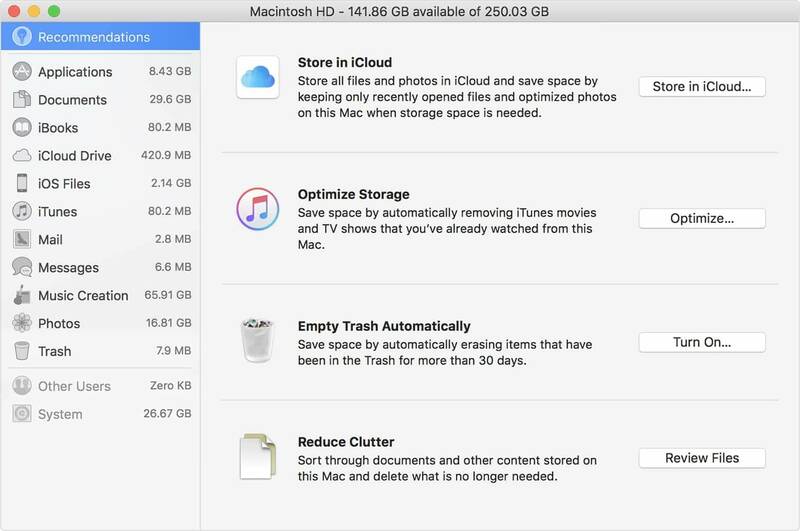 However, this has changed with the release of Sierra (& High Sierra) and their new ‘Optimize Storage' tool. Choose ‘About This Mac' under your Apple Menu (top left of screen). It is worth noting that the actual cleanup functionality is limited with this native Mac tool compared to MacPaw's dedicated cleaning software. The only automated optimization functionality in this panel involves emptying the trash (rather underwhelming). The remainder of this tool is just a breakdown of what your hard drive's storage is comprised of in different data categories. You are able to go through each section manually and clean things up on a file-by-file basis although you lose nearly all your efficiency conducting optimization this matter. While the user interface is never the most important element of a Mac application, it is one of the most critical parts as it is your first impression of the software and gives you a feeling of how easy it will be to utilize it. Out of all of the various software that we have reviewed, not many impress us on interface especially for an optimization application. Fortunately, MacPaw has mastered the art of designing a user interface, and CleanMyMac X's UI is exceptional. We'd go as far to say it offers one of the best user interfaces we have ever seen on a Mac application. 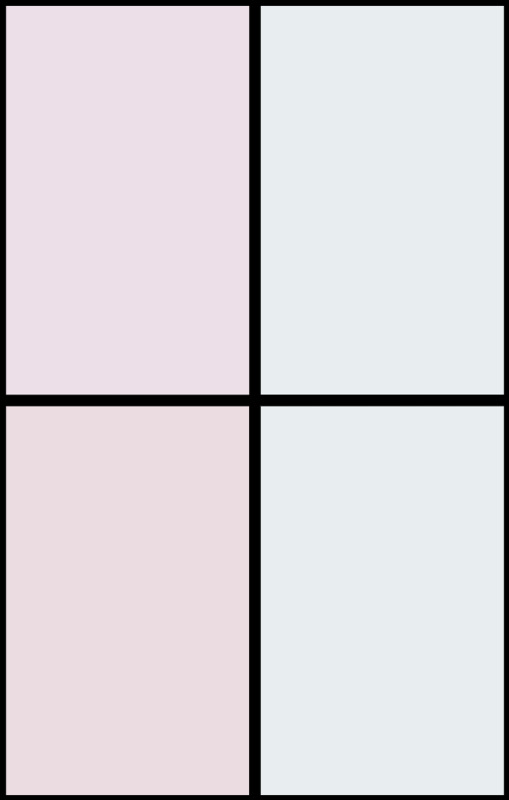 With an option to utilize in both windowed or full-screen modes, the design utilizes a basic two column concept. On the left is a quick menu that allows you to toggle through the optimization segments and on the right is an expanded view of the segment's feature-set. Over the years, MacPaw has had a lot of opportunities to refine their feature set. This has allowed them to determine where the most prominent areas where unnecessary data is being piled up from their customers and find new ways to optimize these areas to offer highest performance gains from CleanMyMac X while maintaining a smooth user experience. Will automatically flag large and old files for manual deletion to identify potential unnecessary files taking up space and preventing the accidental removal of critical data. 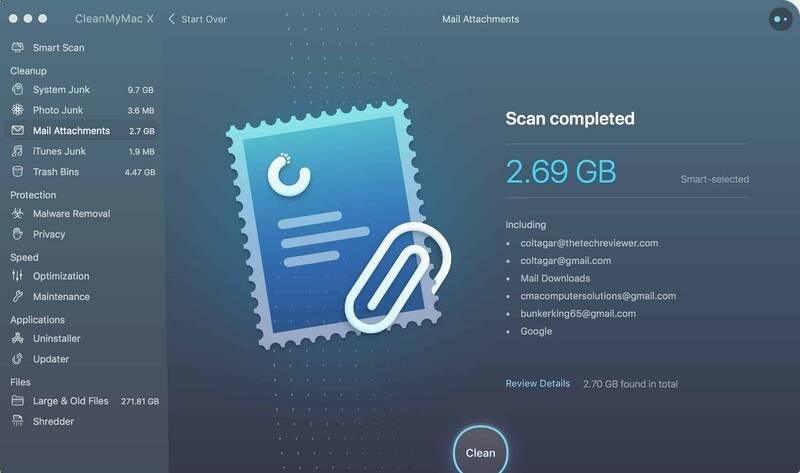 Support for Mail, iTunes, Skype, iMessage and Photos apps that can detect and remove cached files, trash bins, caches, incomplete downloads, iTunes junk, unneeded backups, and previous updates to clear up more space on your hard drive. Scan and secure your machine through an updated database of known vulnerabilities and threats. Remove data permanently using the “Shredder” tool thus making sensitive information unretrievable with third-party recovery software. 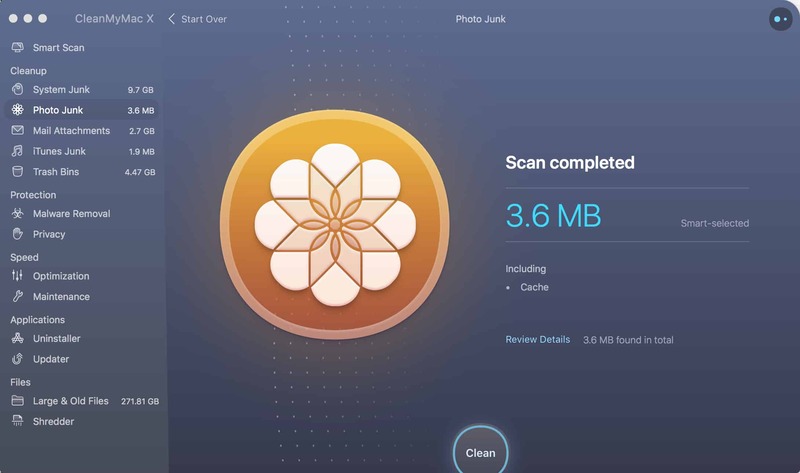 By opening up the Clean My Mac software to cover more ground (such as adding the protection and speed elements new to CleanMyMac X), MacPaw has further expanded the value that their software offers. Due to this, the value per dollar has increased significantly making it a more worthwhile investment for most users. We can talk about the excellent interface and features all day, but if the software doesn't get actual results then it is not a worthwhile investment or something that should even be bothered to install onto your Apple computer. The previous testing for this review was completed back in 2015, and we have gone through several Apple computers in different variations of laptops and iMacs. 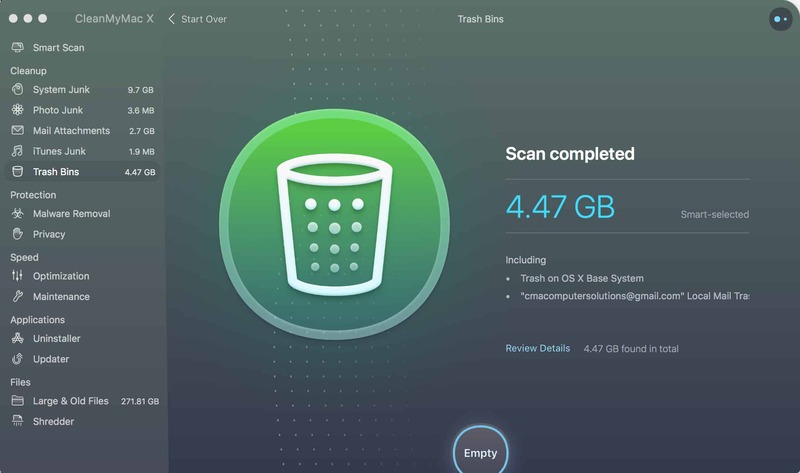 Unfortunately, this means we don't have that same machine to tally up the total space savings earned through our use of the software since we first posted our initial CleanMyMac review back in 2015. 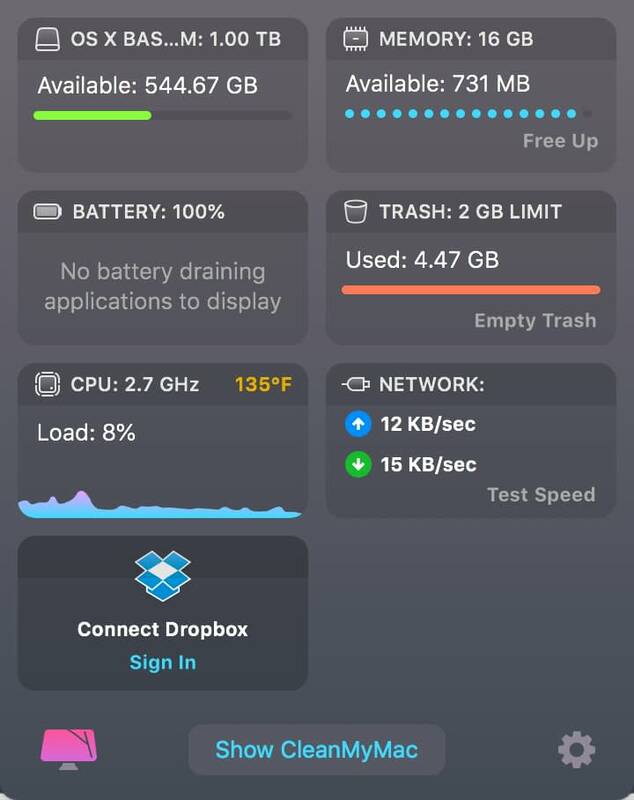 However, I've been working off a MacBook Pro with TouchBar for the last 2 year and decided to run this software again to compare the optimization analysis results against free alternatives like CCleaner or the native Mac Optimize Storage option (all calculated on the same day within minutes from another). The reason we included the word safe next to the CleanMyMac results is since the software has identified these files and data could be safely removed without any loss to the system or be risking any private data. However, when looking through the results at a deeper level, you can note that the software discovered a whopping 271.81GB worth of files were identified as ‘Large & Old Files'. These are held for further review before deletion to ensure you don't accidentally remove data that you will need. If I am not happy with the automated 16.24GB in savings, then I have the option to dig further into that section and determine which of the large and old files I no longer need without having to take the time to search for them myself. This is a great example of where MacPaw has designed their software to be both effective and easy to use for someone who isn't the most tech savvy. 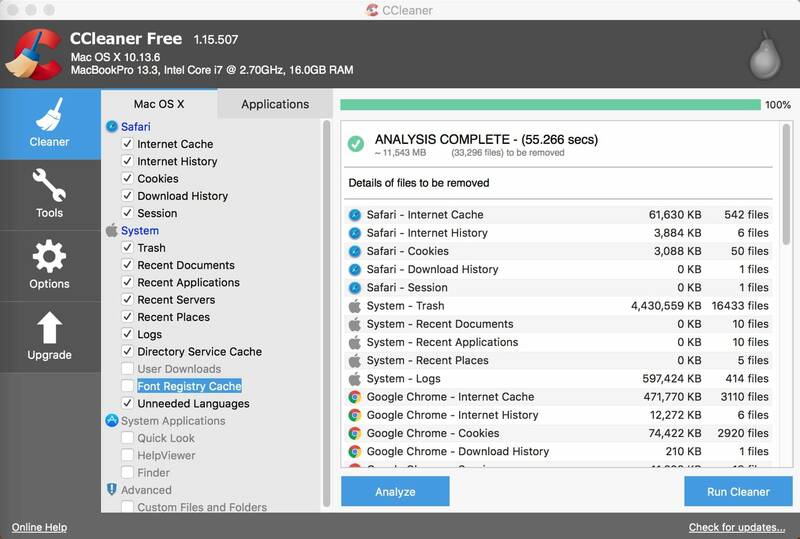 It found more junk and unnecessary data to delete than both Mac's Optimize Storage feature as well as the free CCleaner software to start. For those who feel comfortable browsing through the large and old files, you can individually select which of them you give permission to delete or simply leave them all on your company if you are too nervous to delete something important. When used correctly and with caution, MacPaw's software will never delete data that your computer needs or personal files that you wish to keep. This level of piece of mind is something that I think a lot of consumers seek as computer maintenance is something that important yet daunting to the average consumer in terms of risks if you don't really know what you are doing. Another convenient feature is the ‘System Dashboard' which provides you with an overview of your Mac's current health state including your storage, memory, battery and processor activity. It can be easily accessible in the top right menu bar for quickly accessing this feature quickly and easy. If you are a heavy multitasker like I am (it is not uncommon for me to have 20 Chrome tabs open) then you will find yourself running out of RAM quickly even with my MacBook Pro that has relatively high specs. Don't let me confuse you in that the clearing of inactive memory can be done without a premium software such as this, but this purging process usually carried out through the terminal which is not a comfortable experience for most users. As users of this software since its initial version way back in 2013, we stand behind the CleanMyMac X software that MacPaw has developed and believe it to be a solid investment for most Mac users who are reading this review. 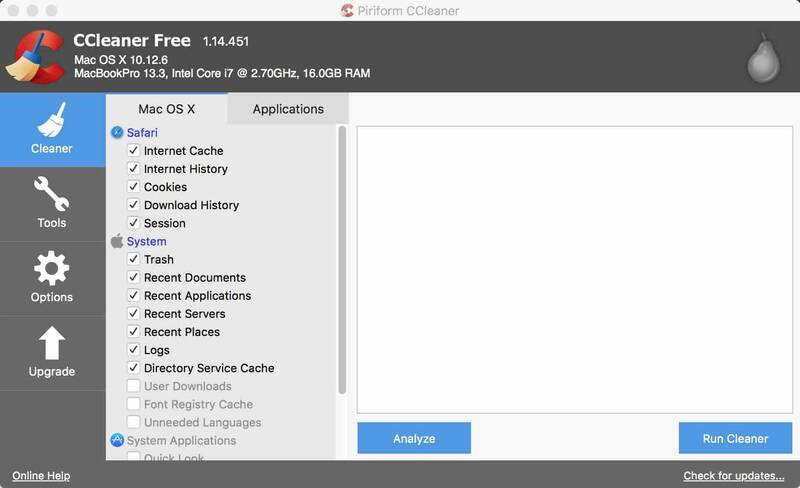 While it has a few downsides like a premium license fee, CleanMyMac X does a better job optimizing and cleaning up unnecessary data on our Mac computers than any other software we have tested including MacKeeper, CCleaner and MacOS Sierra's ‘Optimize Storage' feature. In addition, you get access to malware scanning and removal making it a no-brainer for most Mac owners. MacPaw's desire to produce software with such an elegant, easy to use interface while maintaining the safety of automatically removing data without deleting system or private files makes this software a real winner in our book. We hope you enjoyed our CleanMyMac X review ! This was a very useful review. Many Thanks for pulling this together.